American Cruise Lines, the largest U.S. cruise company, has unveiled its new Grand New England itinerary, an 11-day round-trip from Boston that combines the highlights of two existing itineraries and introduces some new ports of call as well. The new Grand New England will call upon many popular destinations including Bar Harbor, Maine; Newport, R.I.; Martha’s Vineyard, Mass. 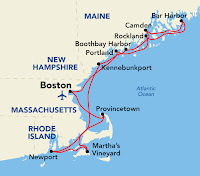 ; and two new ports of call in Provincetown, R.I. and Kennebunkport, Maine. Cruise highlights include an authentic lobsterbake luncheon on the shore of Penobscot Bay, a tour of Newport and the Breakers Mansion, Captain Jack’s Lobsterboat adventure, and a guided tour of Acadia National Park. The first Grand New England Cruise will be in May 21, 2017 on the inaugural cruise of the new American Constellation and will run through mid-September. 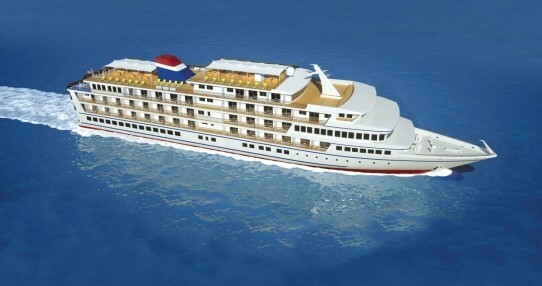 The brand new ship, designed to navigate the inland waterways of the East Coast and with elegance in mind, carries just 165 guests. To make the new itinerary even more appealing, the cruise line is offering a pre-cruise package that allows guests to enjoy Boston a day earlier and stay overnight at one of Boston’s great hotels. 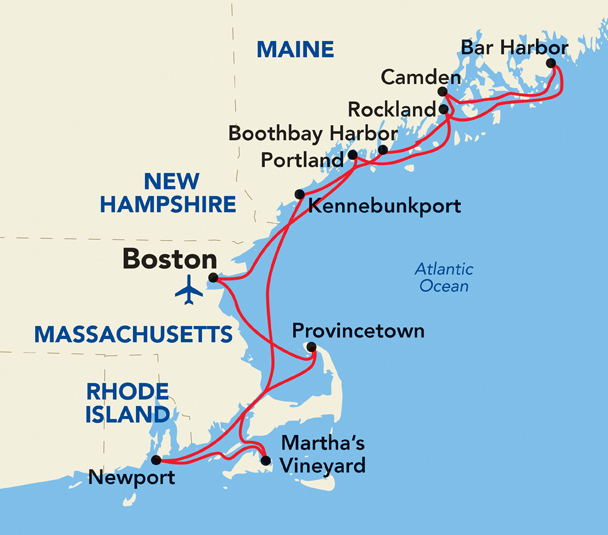 The Grand New England itinerary is one of more than 35 itineraries ranging from five to 22 days in length. Sailings visit the Pacific Northwest, Alaska, New England, the Southeast and the Mississippi River. More information is available on American Cruise Lines’ website.